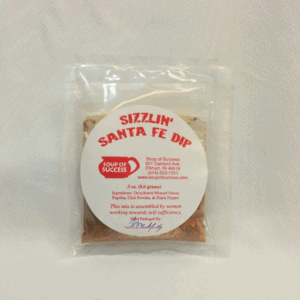 This is a great holiday gift featuring Soup Of Success Cranberry Yogurt cookie mix and Sizzlin’ Santa Fe Dip mix. 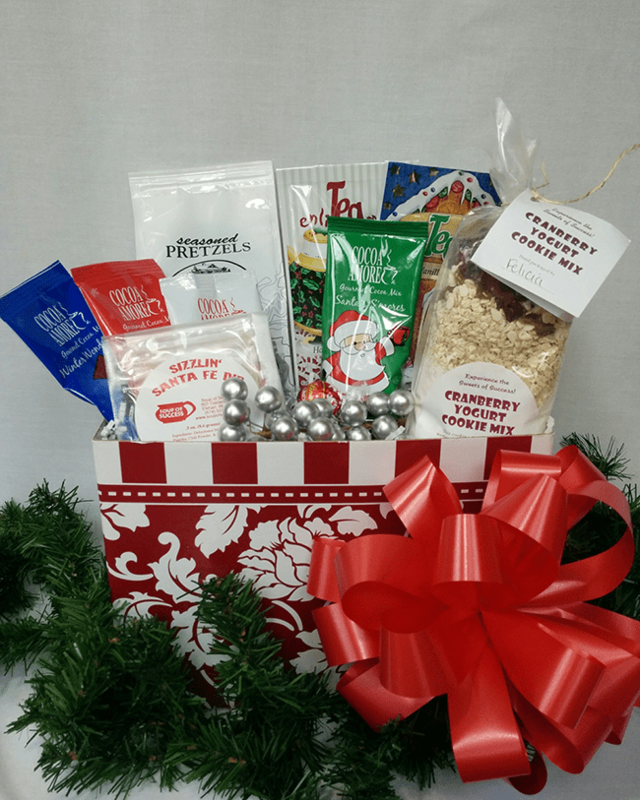 Also included are flavored pretzels, four holiday cocoas, two holiday teas (pots) ,a Lindor Truffle and a gourmet caramel pretzel rod dipped in chocolate. Who wouldn’t love this basket of snacks? 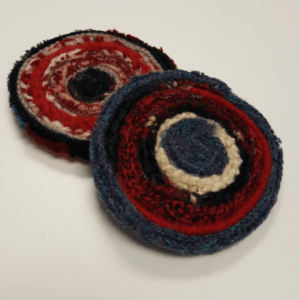 This is a great holiday gift! 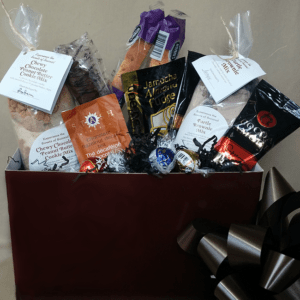 This basket features Soup Of Success Cranberry Yogurt cookie mix and Sizzlin’ Santa Fe Dip mix. 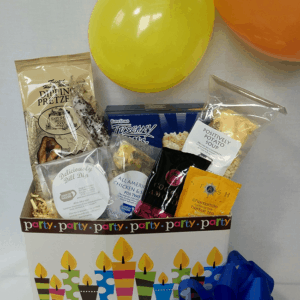 Also included are flavored pretzels, four holiday cocoas, two holiday teas (pots) ,a Lindor Truffle and a gourmet caramel pretzel rod dipped in chocolate. Who wouldn’t love this basket of snacks?